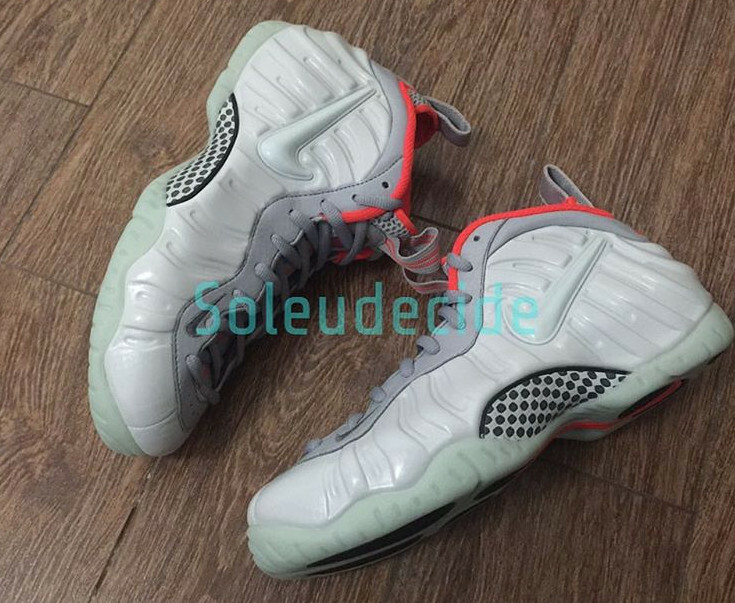 The Nike Air Foamposite Pro will inevitably gain another "Yeezy" nickname next year with the release of this pure platinum/bright crimson version. 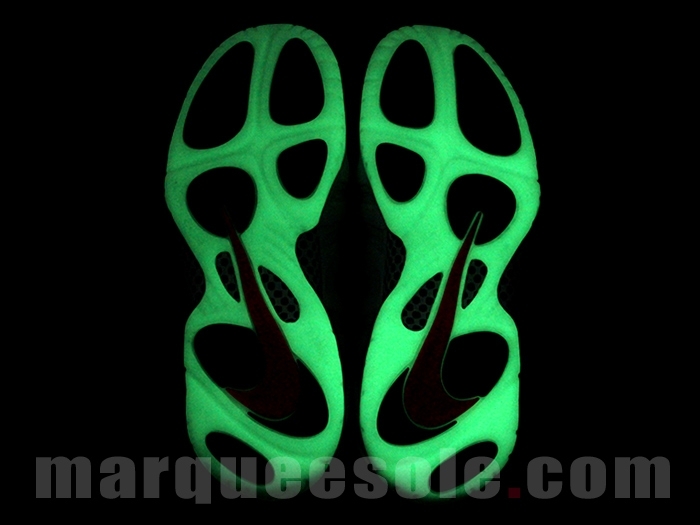 Like the Air Yeezy 2 that it's being compared to, the sneaker features a glow in the dark treatment along its outsole. 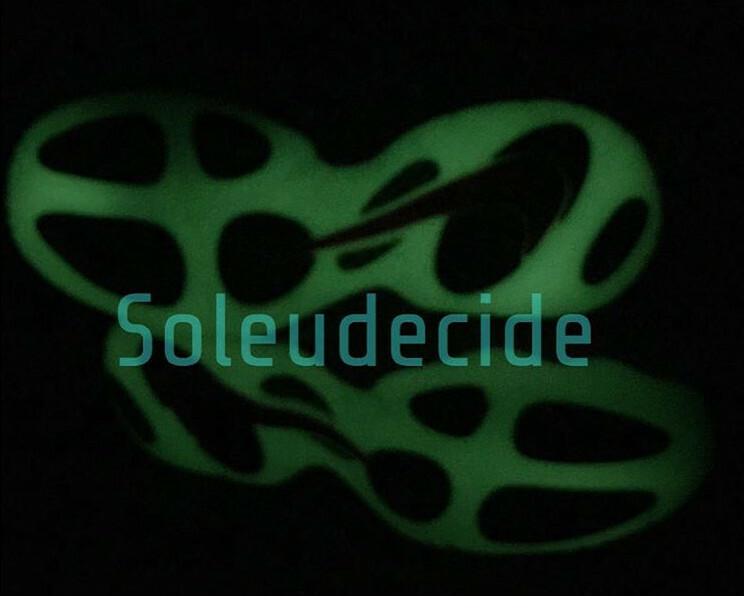 Of course this isn't the first time that's happened – the other Foam Pro out there with the "Yeezy" nickname attached has a similar glow along its bottom. 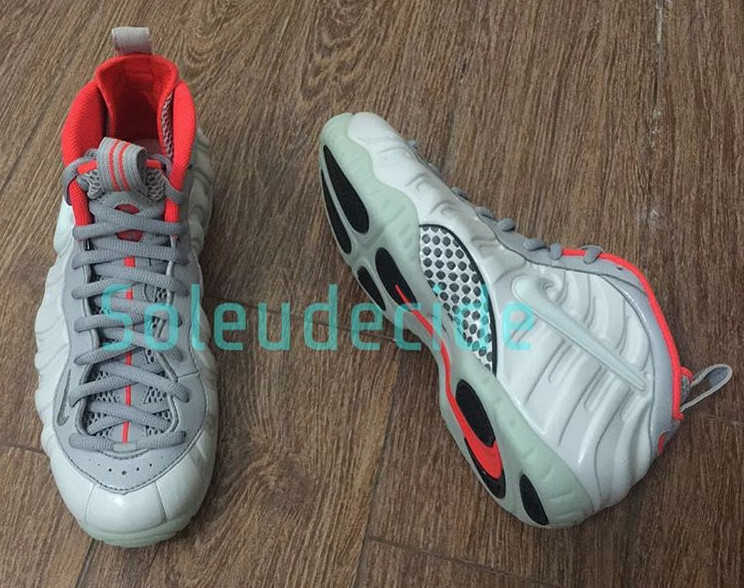 There is no exact sneaker release date info yet for this pair, but watch for it to arrive in 2016. 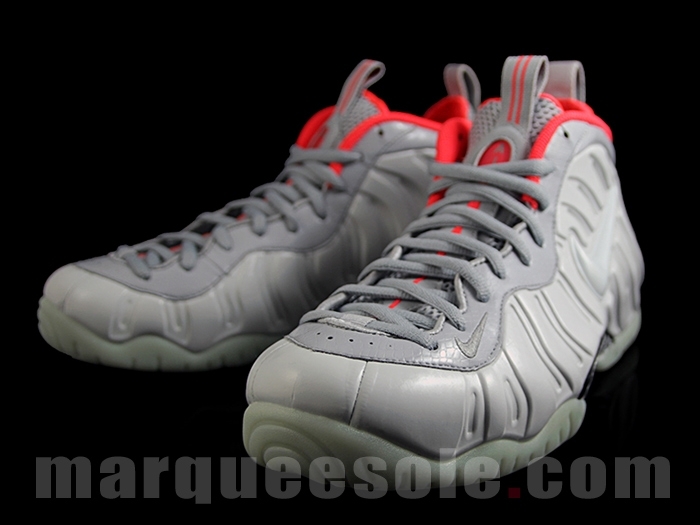 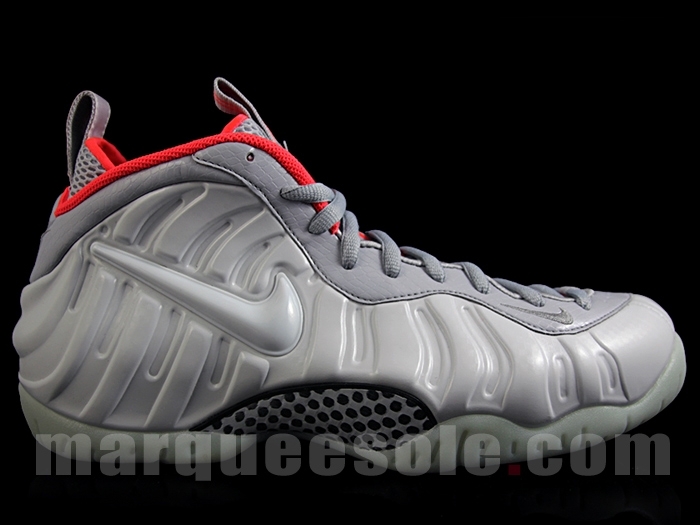 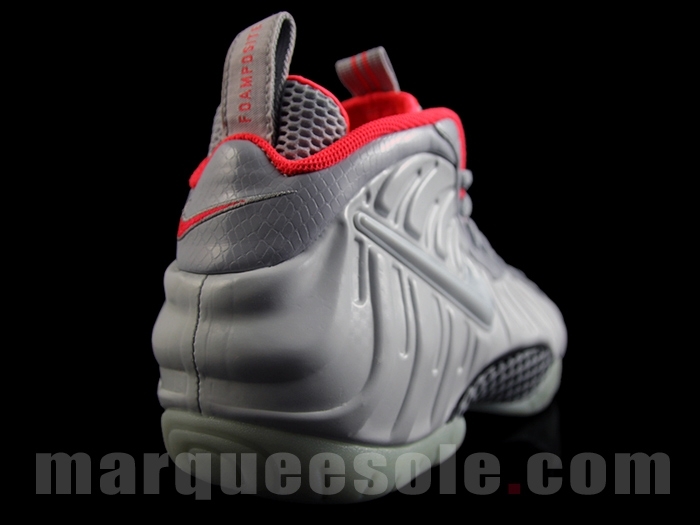 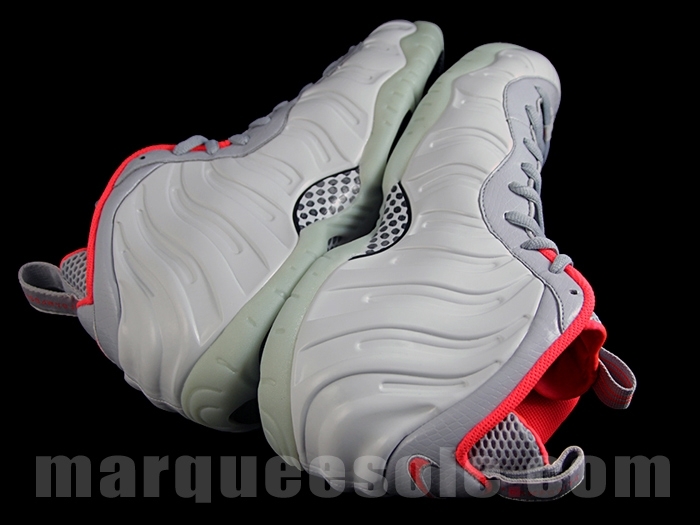 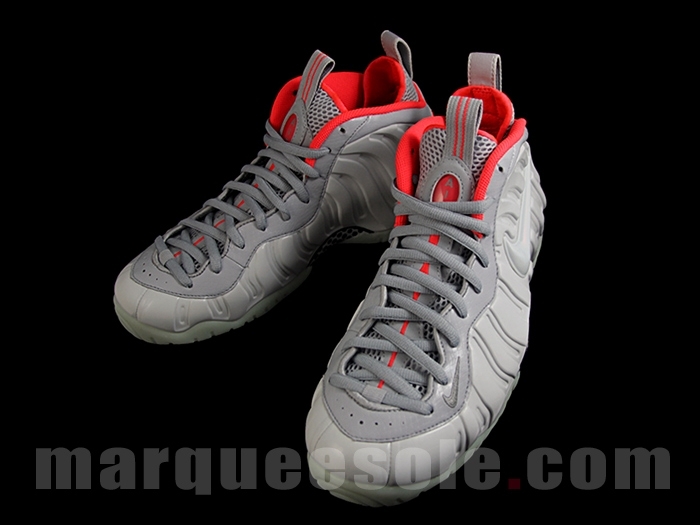 UPDATE 1/25: Detailed images of these Foamposites, which release on March 12.